In Barbados, back in the early 1900s, distillers and bottlers were by a 1906 law, separate, and since the distilleries couldn’t bottle rum, many spirits shops and merchants did — Martin Doorly, E.S.A. Field and R.L. Seale were examples of this in action. On the other side, in the early 1900s a pair of immigrant German brothers, the Stades, set up the West Indies Rum Refinery (now known as WIRD) and all distillate from there carried the mark of their name. In 1909 Mr Edward Samuel Allison Field established E.S.A. 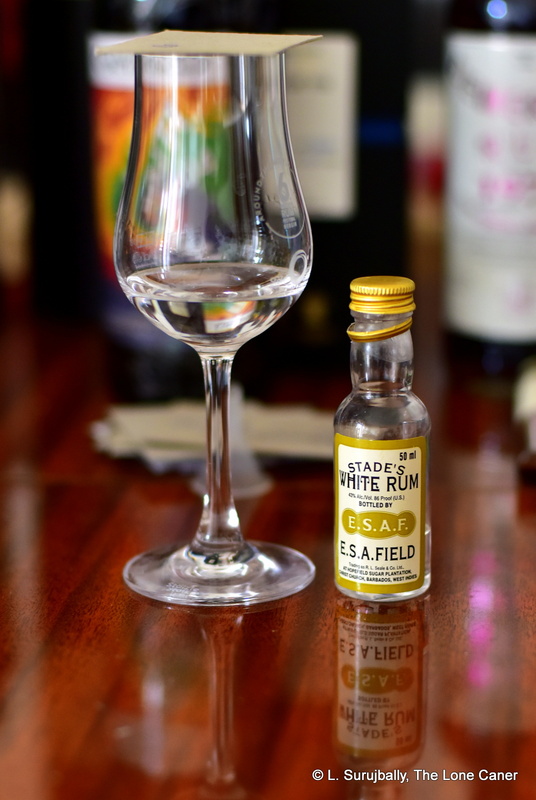 Field as a trading company in Bridgetown and over time, using WIRD distillate, released what came to be referred to as “see through rum”, also called “Stade’s” which sold very well for decades. In 1962 Seale’s acquired E.S.A. 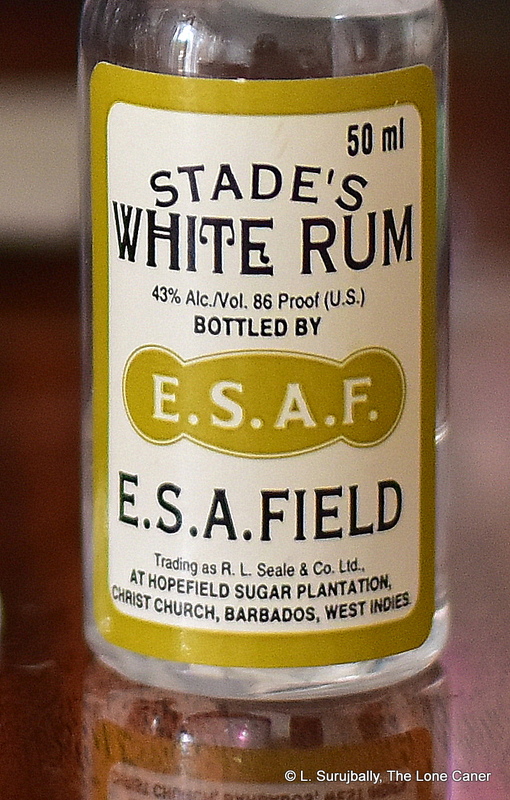 Field and continued to bottle a dark and a white rum under that brand (which is why you see both their names on the label) – the white was humourously referred to as a drink with which to “Eat, Sleep And Forget.” In 1977 the bottling of ESAF was moved to Hopefield (in St. Phillip), so that places this specific rum between 1977 and 1996, in which year the distillate was switched to Foursquare and the mark of “Stades” was discontinued. These days the brand is not made for export, and only sold in Barbados, in a very handsome new bottle. Richard Seale points out it’s the most popular rum in Barbados. Nose – Dusty, plastic and minerally, like dead wet campfire ashes. Lots of off-ripe fruits and toffee, but also sugar water, watermelons and pears, iodine and medicine-y notes, all of which exist uneasily together and don’t really gel for me. Palate – Sort of like a vegetable soup with too much sweet soya, which may read more bizarre than it actually tastes. Bananas and so the queer taste of wood sap. Kiwi fruit and pears, some brine and again those off-ripe sweet fleshy fruits and a sharp clear taste of flint. Finish – Medium long, something of a surprise. Dry, and after the fruits and toffee make themselves known and bail, also some flint and the sense of having licked a stone. Thoughts – Odd rum, very odd. Given the preference of the drinking audience back then for more “standard” English rum profiles – slightly sweet, medium bodied, molasses, caramel and fruits – the tastes come off as a little jarring and one wonders how this came to be as reputedly popular as it was Still, it’s quite interesting for all that. Thanks to Richard Seale, who provided most of the historical background and (lots of) corrections. Ed Hamilton’s Rums of the Eastern Caribbean contributed some additional details, though as was pointed out to me rather tartly, there are occasional inconsistencies in his work. Bottled history. Nothing more, nothing less. “The heart’s memory eliminates the bad and magnifies the good,” remarked Gabriel Garcia Marquez, and I remembered that bit of wisdom before embarking on our tryst with this rum. And to ensure that my long anticipation for the Tot wasn’t bending my feeble mind (I bought the bottle 2014, and tasted it for the first time almost a full year later) I tempered my judgement by trying it three times, with the Skeldon 1973 32 year old, BBR 1977 36 year old, a Velier Caroni and the Samaroli Barbados 1986. Just to be sure I wasn’t getting too enthusiastic you understand. I had to be sure. I do these things so you don’t have to. As much as the G&M Longpond 1941, St James 1885 or the J. Bally 1929, to name a few, the near-legendary Black Tot Last Consignment is one of the unicorns of the rum world. I’m not entirely convinced it should be so – many craft makers issue releases in lots of less than a thousand bottles, while some 7,000 bottles of this are in existence (or were). 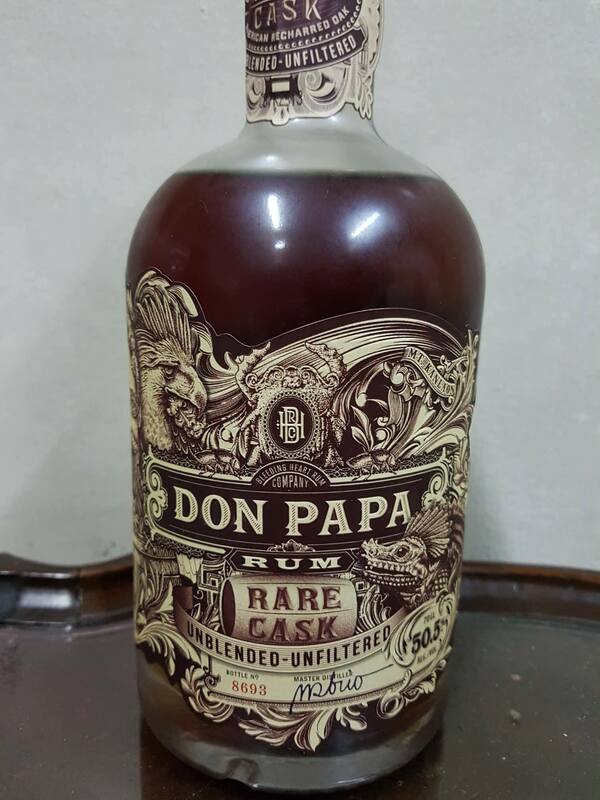 Nor is it truly on par with some of the other exceptional rums I’ve tried…the reason people are really willing to shell out a thousand bucks, is that whiff of unique naval pedigree, the semi-mystical aura of true historical heritage. 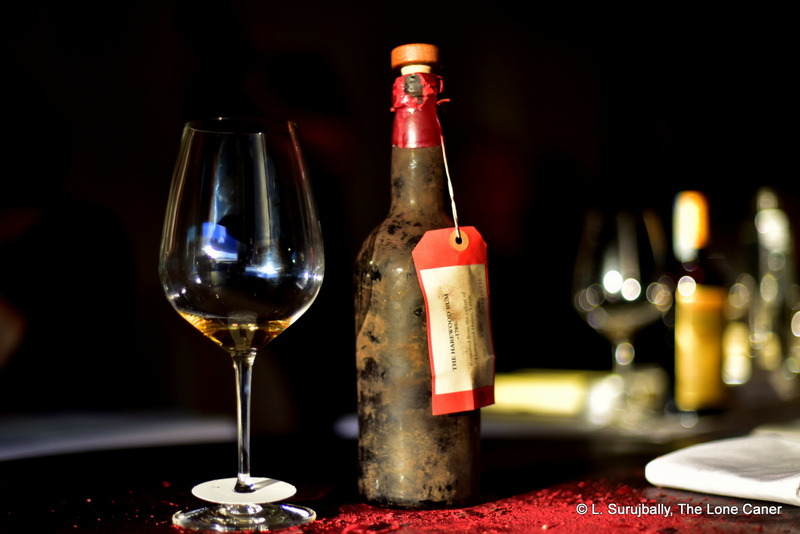 A rum that was stored for forty years (not aged, stored) in stone flagons, and then married and bottled and sold, with a marketing programme that would have turned the rum into one of the absolute must-haves of our little world…if only it wasn’t quite so damned expensive. I don’t make these points to be snarky. 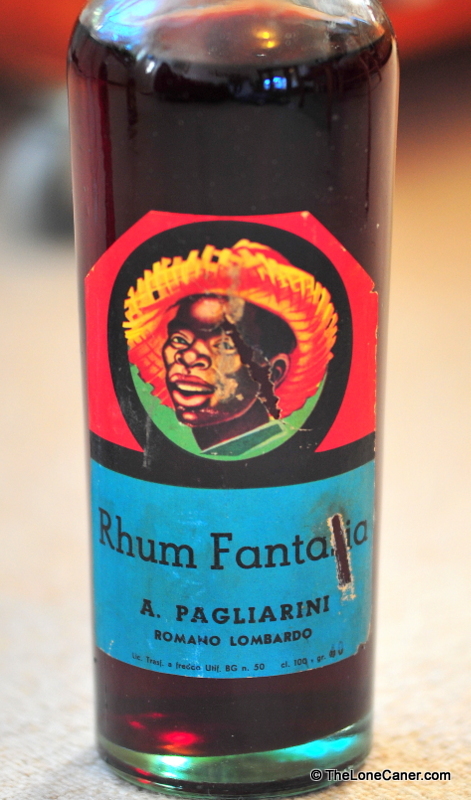 After all, when you taste it, what you are getting is a 1960s rum and that by itself is pretty nifty. But there’s an odd dearth of hard information about the Tot that would help an average drinking Joe to evaluate it (assuming said Joe had the coin). About all you know going in is that it come from British Royal Navy stocks left over after the final rum ration was issued to the Jolly Jack Tars on Black Tot Day (31st July, 1970 for the few among you who don’t weep into your glasses every year on that date), and that it was released in 2010 on the same day. No notes on the rum’s true ageing or its precise components are readily available. According to lore, it supposedly contains rums from Barbados, Guyana (of course), Trinidad, and a little Jamaica, combining the dark, licorice notes of Mudland, the vanillas and tars of the Trinis and that dunderesque whiffy funk of the Jamaicans. And, the writer in me wants to add, the fierce calypso revelry of them all. Complete with mauby, cookup, doubles, rice and peas, pepperpot and jerk chicken. All that aside, the rum’s presentation is exceptional. A wooden box of dark wood (walnut? oak?). A booklet written by Dave Broom on the background to the rum. A copper plated tot container. A tot ration card facsimile. 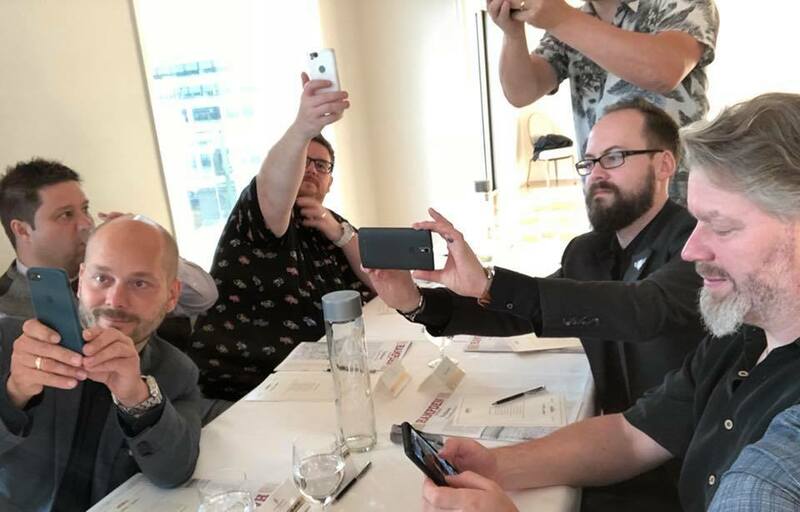 And a bottle whose cork was covered with a hard, brittle wax sealant that Gregers, Cornelius and Henrik laughed themselves silly watching me try to cut off. The bottle itself was a stubby barroom style bottle with a good cork. No fault to find on the appearance, at all. Believe me, we were all raring to try this one. The aromas first: at 54.3%, I expected more sharpness than the Tot exhibited, and enjoyed the deep and warm nose. 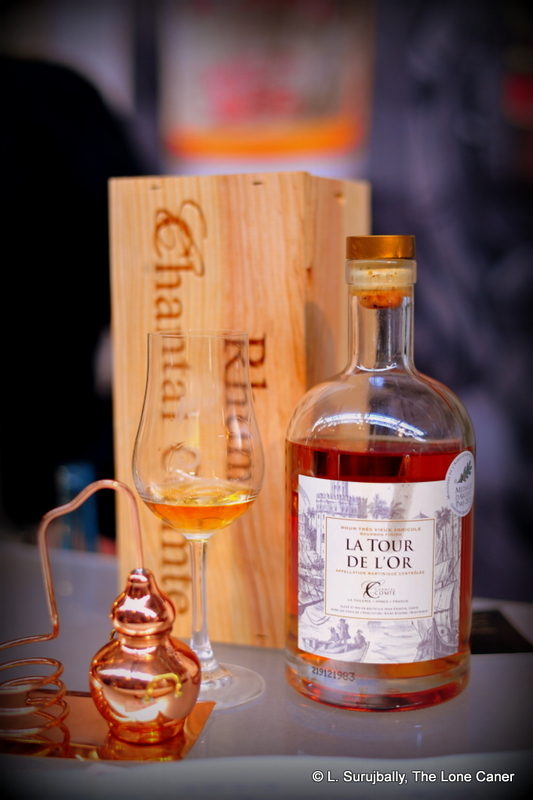 Initially, anise and slightly chocolate-infused fumes billowed out of our glasses in well controlled balance. Cardboard, musty hay, caramel and some tar and tobacco juice (maybe that was the Trinis speaking up?) followed swiftly. 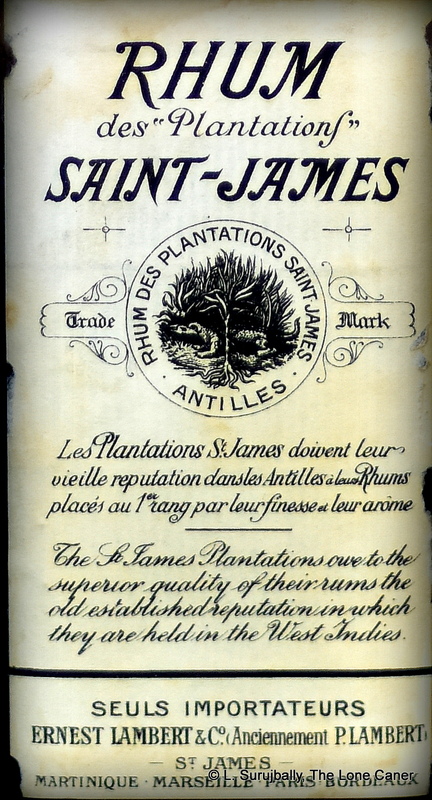 The official literature suggests that the Jamaican part of the blend was minimal, because sailors didn’t care for it, but what little there was exerted quite a pull: dunder and a vaguely bitter, grassy kind of funk was extremely noticeable. Here was a rum, however, that rewarded patience, so it was good that our conversation was long and lively and far-reaching. Minutes later, further scents of brine and olives emerged, taking their turn on the stage before being replaced in their turn by prunes, black ripe cherries, leavened with sharper oak tannins, and then molasses, some caramel, smoke, and then (oddly enough), some ginger and dried smoked sausages snuck in there. It was very good…very strong with what we could term traditional flavours. Still, not much new ground was broken here. It was the overall experience that was good, not the originality. Good thing the palate exceeded the nose. 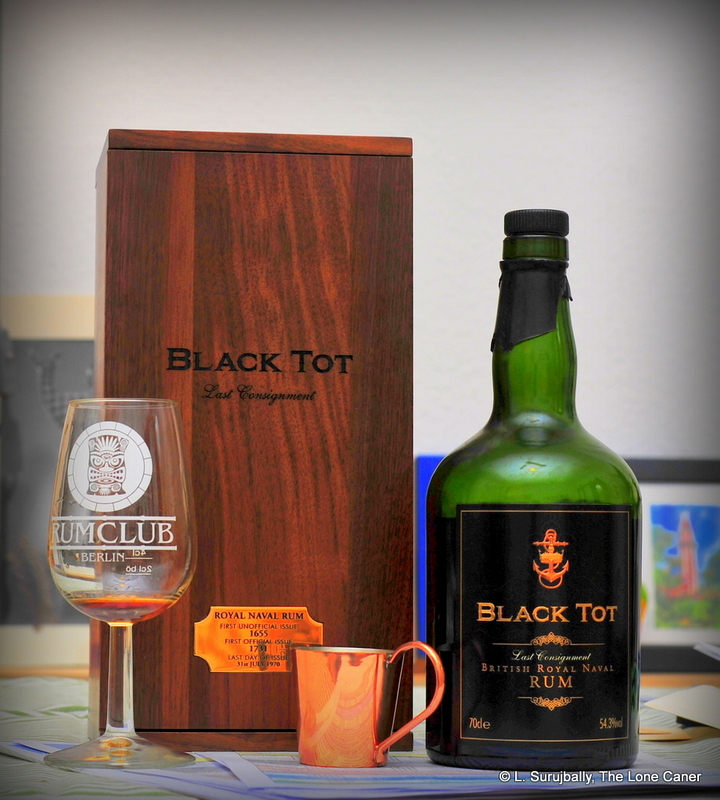 Here the strength came into its own – the Tot was a borderline heavy rum, almost mahogany-dark, quite heated on the tongue, with wave after wave of rich dark unsweetened chocolate, molasses, brown sugar, oak deftly kept in check. Thick meaty flavours (yeah, there were those smoked deli meats again). It was a bit dry, nothing to spoil its lusciousness. We put down our glasses, talked rum some more, and when we tried it again, we noted some salty, creamy stuff (an aggressive brie mixing it up with red peppers stuffed with cheese in olive oil, was the image that persisted in my mind). Nuts, rye bread, some coffee. And underlying it all was the mustiness of an old second hand bookstore straight out of a gothic novel. I enjoyed it quite a bit. I thought the finish failed a little – it was dry, quite long, so no complaints on that score – it just added little more to the party than the guests we had already seen. Smoke, tannins, aromatic tobacco, some molasses again, a little vegetal stuff, that was about it. Leaving aside what I knew about it (or discovered later), had I tasted it blind I would have felt it was a rather young rum (sub-ten-year-old), with some aged components thrown in as part of the blend (but very well done, mind). Which may not be too far from the truth. 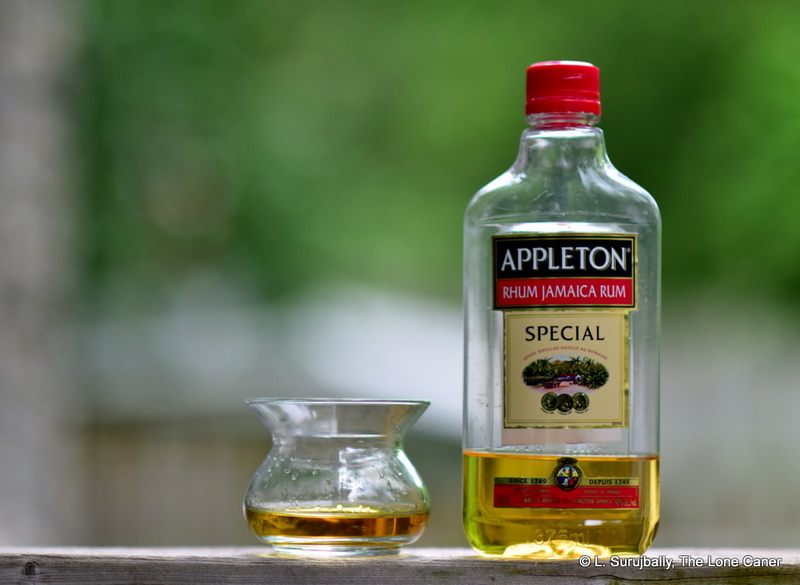 Originally the rum handed out in the 18th and 19th centuries was a Barbados- or Jamaican-based product. But as time went on, various other more complex and blended rums were created and sold to the navy by companies such as Lamb’s, Lemon Hart, C&J Dingwall, George Morton and others. Marks were created from estates like Worthy Park, Monymusk, Long Pond, Blue Castle (all in Jamaica); from Mount Gilboa in Barbados; from Albion and Port Mourant in Guyana; and quite a few others. Gradually this fixed the profile of a navy rum as being one that combined the characteristics of all of these (Jamaica being the tiniest due to its fierce pungency), and being blended to produce a rum which long experience had shown was preferred by the sailors. E.D.&F. 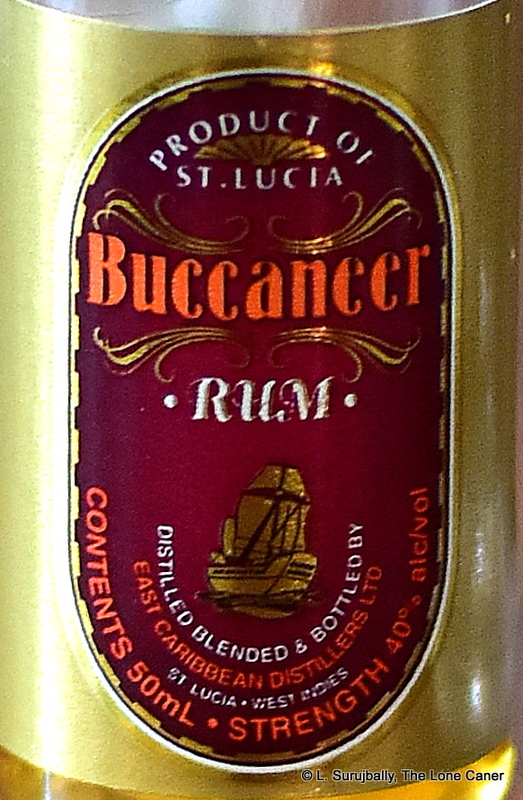 Man was the largest supplier of rums to the navy, and it took the lead in blending its own preferred style, which was actually a solera – this produced a blend where the majority of the rum was less than a decade old, but with aspects of rums much older than that contained within it. The problem was that the depot (and all records about the vats and their constituent rums) was damaged, if not outright destroyed during the 1941 Blitz. In effect this means that what we were looking at here was a rum, blended, and aged solera style, that was in all likelihood re-established in the 1940s only, and that means that the majority of the blend would be from the sixties, with aged components within it that reasonably date back to twenty years earlier. And that might account for the taste profile I sensed. So now what? 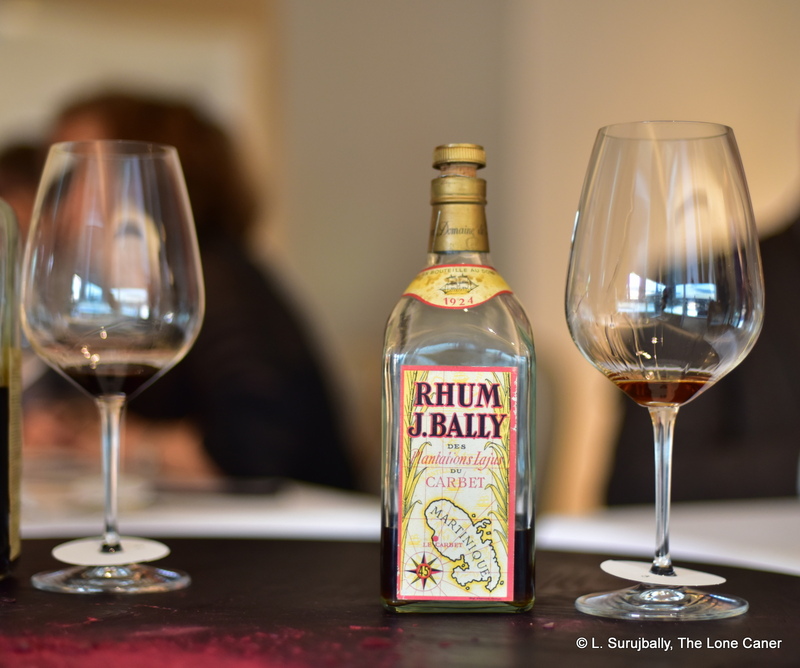 We’ve tasted a sorta-kinda 1960s rum, we’ve accepted that this was “the way rums were made” with some serious, jowl-shaking, sage nods of approval. We’ve established it has a fierce, thick, dark taste, as if a double-sized magnum of Sunset Very Strong ravished the Supreme Lord VI and had a gently autistic child. It had a serious nose, excellent taste, and finished reasonably strong, if perhaps without flourish or grandeur. The question is, is it worth the price? Now Pusser’s bought the recipe years ago and in theory at least, they’re continuing the tradition. Try their Original Admiralty Blend (Blue Label), the Gunpowder Strength or the fifteen year old, and for a lot less money you’re going to get the same rum (more or less) as the Jolly Jack Tars once drank. Why drop that kinda cash on the Tot, when there’s something that’s still being made that supposedly shares the same DNA? Isn’t the Pusser’s just as good, or better? Well, I wouldn’t say it’s better, no (not least because of the reported 29 g/l sugar added). But at over nine hundred dollars cheaper, I have to wonder whether it isn’t a better bargain, rather than drinking a bottle like the Tot, with all its ephemeral transience. (Not that it’s going to stop anyone, of course, least of all those guys who buy not one but three Appleton 50s at once). So this is where your wallet and your heart and your brain have to come to a compromise, as mine did. 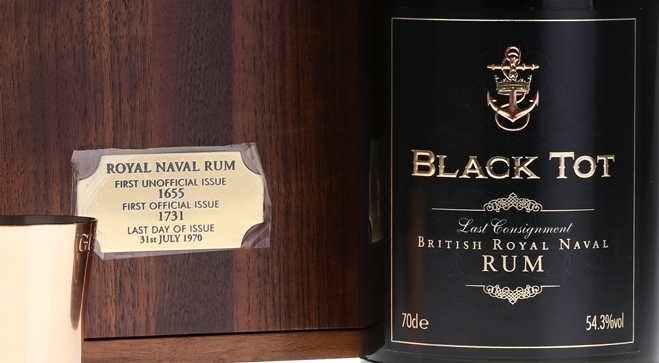 See, on the basis of quality of nose and palate and finish – in other words, if we were to evaluate the rum blind without knowing what it was – I’d say the Black Tot last Consignment is a very well blended product with excellent complexity and texture. It has a lot of elements I appreciate in my rums, and if it fails a bit on the back stretch, well, them’s the breaks. I’ll give what I think is a fair score that excludes all factors except how it smells, tastes and makes me feel. Because I have to be honest – it’s a lovely rum, a historical blast from the past, and I don’t regret getting it for a second. At the end, though, what really made it stand out in my mind, was the pleasure I had in sharing such a piece of rum heritage with my friends. I have cheaper rums that can do the trick just as easily. But they just wouldn’t have quite the same cachet. The same sense of gravitas. The overall quality. And that’s what the money is for, too. I’m aware this review is a bit long. I tend to be that way, get really enthusiastic, when a rum is very old, very pricey or very very good. I’ll leave it to you to decide which one applies here. 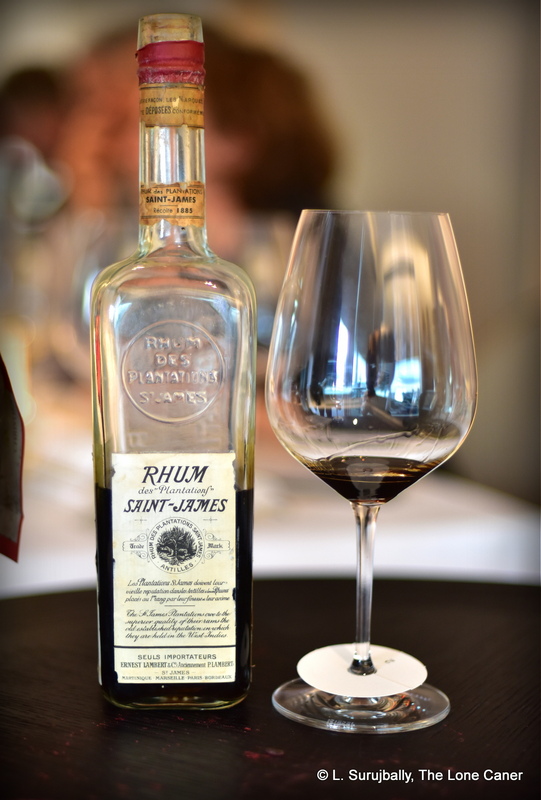 These three rums are aged curiosities. There’s one from the 60s, and two from the 70s. Information on their origins is maddeningly obscure. The labels are crap, and the corks aged and faded and cracked by decades of rough handling. There’s never been a review of any that I was able to find, and their makers are likely long gone. Yet these three bottles exist, and if for no reason than their history, I review them here, make what remarks I can, score them as best I’m able. Italy in these days is no stranger to rums, of course. Fabio Rossi of Rum Nation is the name that springs immediately to mind, and Campari recently bought the brands of Appleton and Coruba. Yet in rum’s heydey of the forties and fifties, there were many small outfits that matured their own stocks and brought out limited craft spirits to tempt the palates of those living La Dolce Vita. 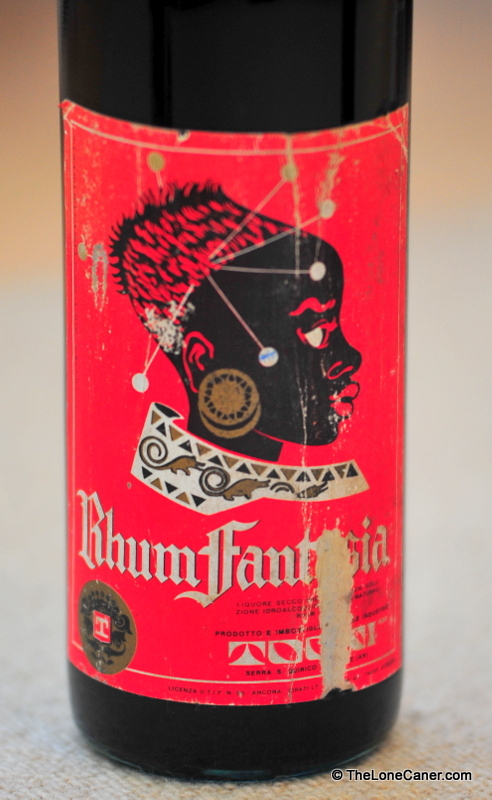 Some of these were real spirits of the kind we know and enjoy today, but many were what were called “Fantasy rums” – products made from caramel syrup with industrial alcohol, to which various herbs and spices (and in other cases young Jamaican rums), were then added. They were used for baking additives, pastries, or even as digestifs, not so much as sipping rums. They certainly don’t taste like molasses based products. 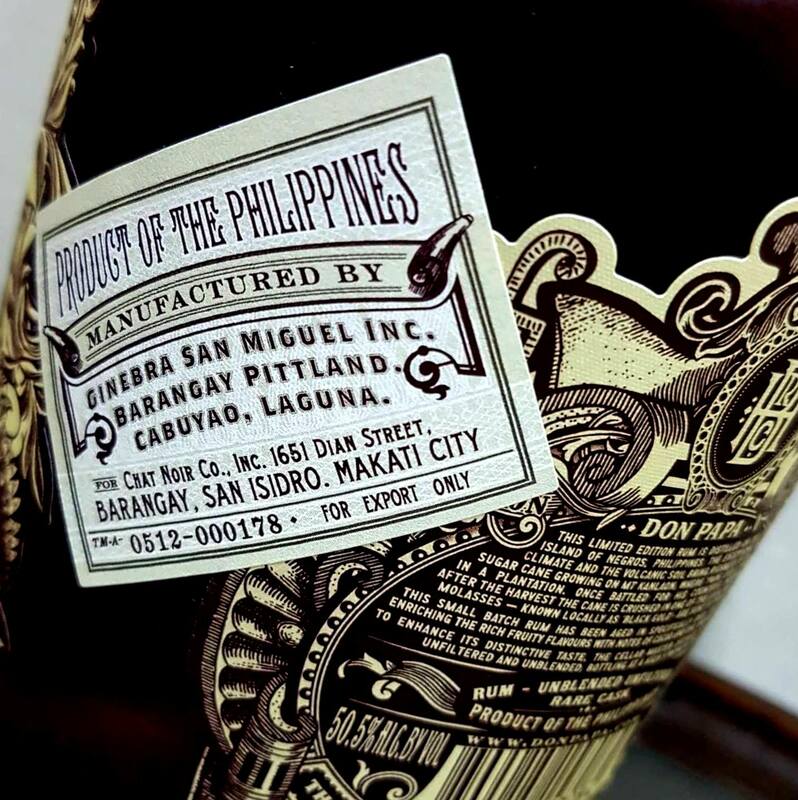 This to many purists, and according to modern EU rules, disqualifies them from being called rums, and they share similar DNA, then, with Tanduay, Stroh and Mekhong – they edge close to the line without ever quite stepping over it. 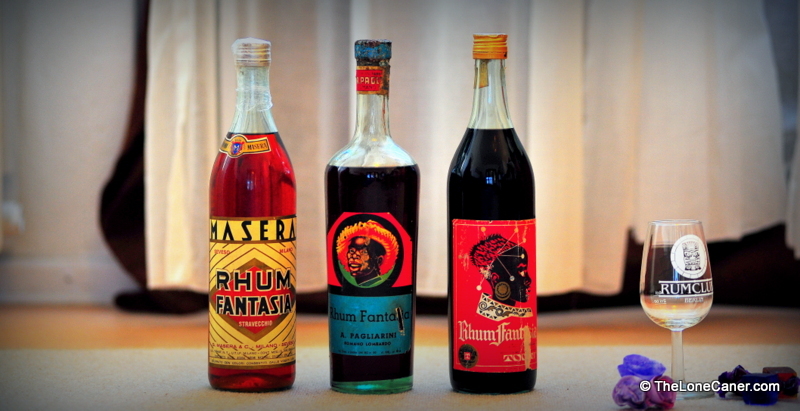 As before with those examples, I’ll call them rums just because they’re labelled that way and to give them a home. Anyway, knowing all this, what are they like? Finish: Short. Doesn’t want to piss you off. Toffee and nuts on the close, without lasting long enough to make an impression. Nose: Slightly sharp, heavy on red/black grape wine; tons of fruit aromas – prunes, blackberries. Reminds me a lot of grappa. Some chocolate, apples, apricots. Licorice comes through after it opens up. Pretty good sniffer, nice and rich. Palate: Reasonably smooth to taste, a little spicy, not much – medium bodied rum (really love the colour). Loads of licorice – may be too much for some. Back end notes of vanilla and some blackberries, but they’re subtle against the black stuff, which doggedly holds on as if scared to let go. Finish: Pleasant enough, once the licorice fades out. A bit rough and then stays for a long goodbye, with vanilla and brown sugar notes making a belated appearance. Nose: Thin, striking nose of red cherries, red grapes, and somewhat herbal, like freshly mown wet grass. No real rum profile here: would rate it higher if it had more oomph. Really taste the additional flavourings…pomegranates, some ripe oranges, more cherries, sorrel. Palate: Soft and round on the tongue, provides comfort without anger. That redness reminds me of sorrel, and so does the taste: plus added notes of fennel, rosemary, cherry syrup. Damn but this is sweet, and not with brown sugar notes either – in fact, this has the least “rum-like” profile of the three. It’s a bit too much sugar: no driness or ageing evident here, and that sinks it for me. Finish: will o’ the wisp, disappears the moment you look for it, much like the Cheshire Cat; though, like that feline’s grin, it retains a smile of sweet cherry syrup and rosemary to see you on your way home. Blink and you’ll miss it. At end, it’s unlikely these rums will be easily acquired or even sought after – I may actually have bought among the last bottles extant (and given their shabby state when they arrived, that wouldn’t surprise me). 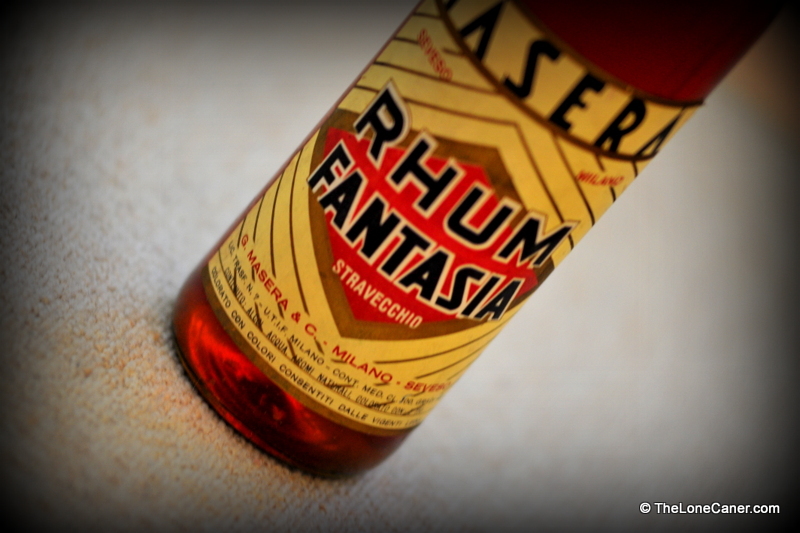 They have been overtaken by other spirits that taste similar and don’t call themselves rum. It’s likely that I paid the price I did because of their age and rarity, which is fine ‘cause I’m interested in the subject and was curious — but if you’re a fanatic about these matters and prefer a more traditional rum profile, I’d suggest you only try any Fantasias that cross your path if you can get them for free. It’s an expensive indulgence any other way, especially if they’re as old as these, and you may not like them much. Unless of course you’re baking with them, in which case, avanti! 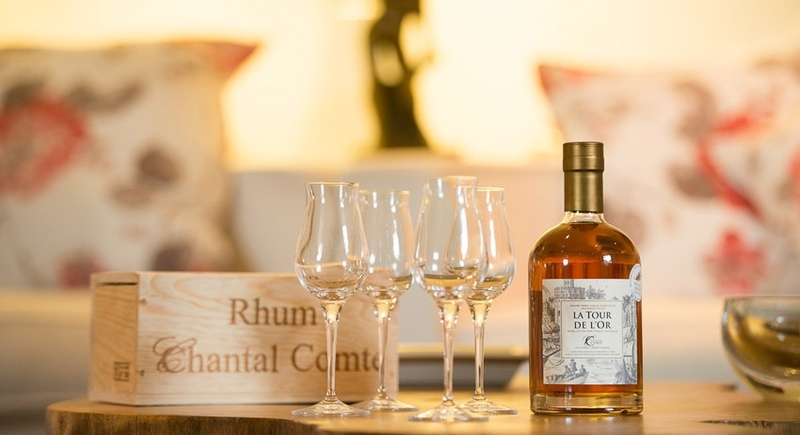 Closing note: Thanks to Luca Gargano of Velier, Cyril of DuRhum and Fabio Rossi of Rum Nation, who very kindly provided background information I used to write this article.